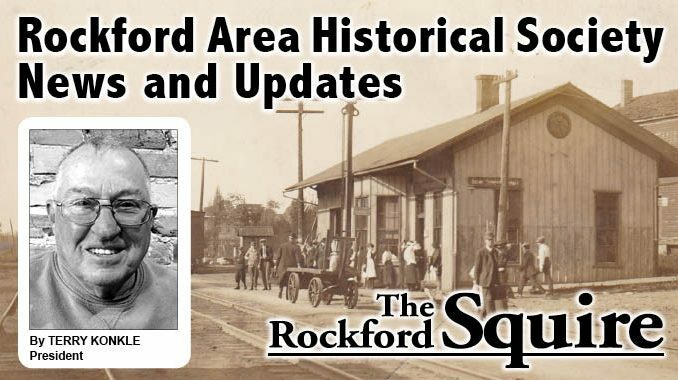 The last “Nugget of Rockford history” question showed several houses which no longer exist and asked readers what is in that location today (2018). The houses were replaced by the “Towers” and the large brick two story building to the left of it. The corner would be the northwest one of the intersection going over the bridge. I received replies from Bill Boyd, Ruth Reickard, Dee Devuyse, Lee Paull and Sharon Berry. I thank all of them for taking part in a fairly tough quiz. The new “Nugget” is a matching quiz testing one’s knowledge of the city and the four surrounding townships. 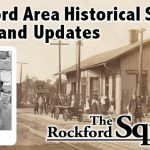 Each of the twenty given statements (mostly places) are part of a township or the city of Rockford. There is only one correct answer for each number, but the letters will be used more than once. Number from 1-20 and give it a try. I can be reached by email (tnjkonkle@hotmail.com) or by phone at 616-866-0530. All answers need to be to me by July 5. The Rockford Area Historical Society is collecting receipts from Spartan Stores as part of our fundraising efforts. There is a large container in the Rockford Area Museum where many have been dropped off. Hopefully readers can help us when shopping at those stores. Someone asked me a while back why I included a current date at times in some columns. I did that (2018) in the opening paragraph today. It does seem kind of repetitious because we all know the year, but often columns get cut out and separated from the rest of the information about the time. Often in researching Rockford High School athletics I have found information in clippings with no dates. Sometimes it is possible to narrow things down but often it is not. Let’s conclude by asking readers to let me know your questions, comments, suggestions, concerns and corrections. As always, have a great, positive week!